After 20 years of moving around at the whim of Uncle Sam (I served in the U.S. Military for 20 years), Kim and I finally bought our first home in April of 2005. A home on the front range, a home where the Antelope roam (or the Pronghorn if you're really interested). It was a grueling process and we undertook it with much trepidation. 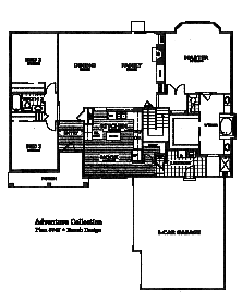 FYI: I copied some of the images (floor plans and elevation illustrations) that follow from the D.R. Horton web site. Neither of them were suitable (as is) for my purposes, so I had to alter them somewhat. All I did to the elevation plan was invert it (so that it was properly oriented). I had to invert the floor plan as well, but that was a bit more complicated (due to the words). I also changed the front porch and some of the wording in the floor plan. Click on the floor plan pictured here for a larger (readable) version. Kim and I started looking for our home when I retired from the military in January of 2005 – People often ask "Why did you wait so long?" Well, can you imagine shopping for a home, finding the perfect house, doing all the mortgage paper-work, getting the loan approved, buying your dream home, and then having to sell it less than three years later? Neither could we. The military doesn't usually (didn't back then) let you stay in one place for more than three years, and we didn't want to buy a home only to sell it three years later. Sure we could have rented it to someone, but that's still not the same as living in it. We just didn't want to go through all that work so that someone else could live in the house. Yeah, I guess we could have done it in order to make money, but we weren't interested in that. If we were going to buy a house, it was going to be our home. We wanted to love it, live in it, pour our heart and souls into it, make it something other than an investment. We looked at a few homes on our own, but we didn't really know what we were looking for at the time. 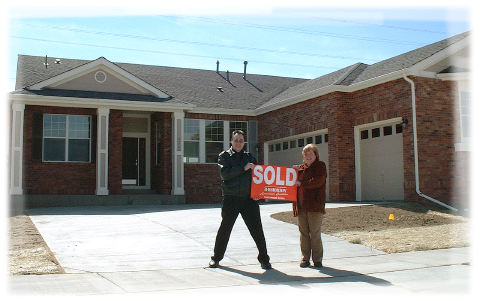 In February of 2005 we attended a new home buyers seminar (more like a briefing), then we found a realtor. The realtor that we chose was one of Kim's friends. A former co-worker. Then we created a check-list of what we wanted in a house. The check-list helped us narrow down our choices. Armed with the check-list and a realtor. Kim and I set out in earnest to find a home that would suit us. Looking for a home is very intoxicating. You get a lot of ideas, you find and refine your tastes. We saw a few dogs, and we saw some really nice houses. Kim's friend told us we'd 'know it when we found it'. She was right! We knew right away. The weird part is that we'd seen this house earlier, and pretty much dismissed it. Fortunately, it made the check-list, so our realtor scheduled us to view it, and we ended up seeing it a second time. This time the house was finished and their weren't any workers in the way. It didn't take long. I would estimate that we looked at only two dozen houses (at most) before we found our dream home. Now we're not millionaires mind you, but we could never have afforded this home on my military salary. I'm glad we waited until I retired from the military. We're tired of living in cramped quarters, having to put up with crappy floor plans and substandard amenities (Meade Heights at Fort George G. Meade, Maryland in the early 90's). This house is packed with lots of nice amenities. Community notes: Continental's Tollgate Crossing community located near Gun Club Rd & Belleview in SE Aurora will raise the standard over any existing community in the area. Tollgate Crossing provides home buyers with a rare opportunity to live in a meticulously master-designed community in the Cherry Creek School District complete with parks, trails, ball fields, a community pool, and an amazing location. Continental will offer the exciting Wilderness, Audubon and Adventure Collections. 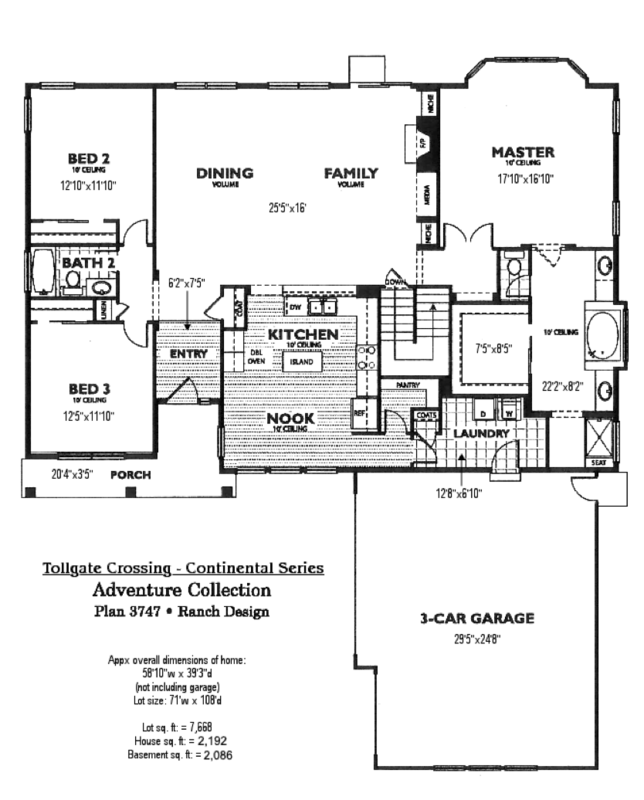 The developer offers floor plans ranging from approx. 1,269 to 3,127 square feet from the low $230's to the $300's. 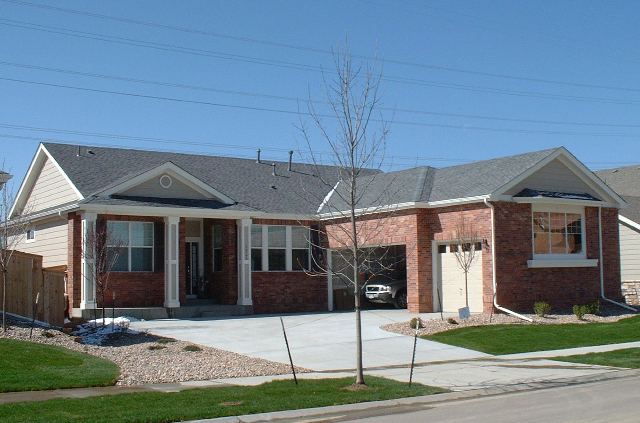 Choose from Ranch, 2-story and Multi-level homes with 2 to 5 Bedrooms! Loaded with standard features, these homes compliment the area and give you confidence that you made the right choice to purchase a new Continental Series home. Plan Name: Bear Creek, Stories: Ranch, Bedrooms: 3, Footage: 2,192, Master Bedroom: Main Level, Full Baths: 2, Garage Spaces: 3, Fireplaces: 1, Basement: 2086, Lot Amenities: Access To Trails, Bike Paths, Close To School, Community Pool, Easy Access to DIA, Easy Access to E-470, Front Yard Landscaping Finished Living Areas: 5 Piece Luxury Bath, Walk-in Closet(s), House Amenities: 3 Car Garage, Air conditioning, Appliances Pkg. Bay Window(s), Brick, Fireplace, Wood Flooring, Builder: D.R. Horton. Upgrades: Elevation-C (larger front porch), Full basement slab, Rounded corner beads on walls, Front door lever and kickplate, Ceiling fan outlet in bedroom 2, Ceiling fan outlet in bedroom 3, Home theater pre-wire, Under cabinet kitchen lighting (nice! ), Garage service door w/stoop. Kim and I took some pictures of the new house with one of my digital cameras (some of the photos are better quality than the others). There were no furnishings when we took the first pictures, but that didn't take long to change. We moved in at the beginning of April, and we've been slowly adding finishing touches since then. We'd like to invite all our friends and family to come visit, so give us a call and we'll set something up.